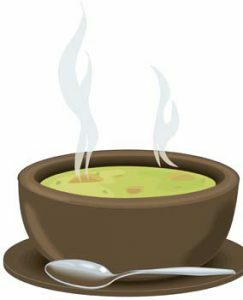 Put the chicken in a soup pot and bring the rest of the ingredients and prepared chicken in soup pot and bring to a boil then continue simmering for 40 mins. ** If you detest mushrooms because of texture, you can boil them and then strain them out of the water and just use the mushroom broth. Community Acupuncture is now being held twice a week at Wuji! This is a great time to come in a get a treatment during your lunch break or after work. Regular acupuncture sessions reap huge benefits for your health. Community Acupuncture is a great way to obtain results without breaking your piggy bank. Just come on in a take a seat! Sessions are about 20-30 minutes on average. Needless treatments are available for the needle phobic. 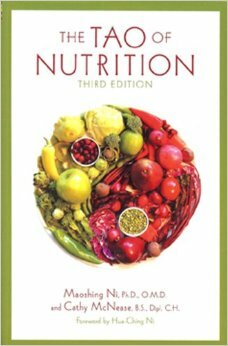 I highly recommend The Tao of Nutrition to add to your library. This is great for beginners and for advanced individuals in the areas of nutrition and how to feed one’s self and your family. It has the food listed in alphabetical order and includes easy to make recipes and remedies.